Data Security System (DSS) offers a wide choice of data protection tools, ranging from file encryption and rights management to monitoring employee activities. Imagine a situation in which Your employees (intentionally or unintentionally) make copies of valuable, company documents and store them on their private mobile devices. From this point on, that copied data becomes the property of its present holder. This means, the person currently in possession of Your documents can access, edit and share them with whoever they want. If we’re talking about a typical, satisfied employee, this scenario shouldn’t cause problems. 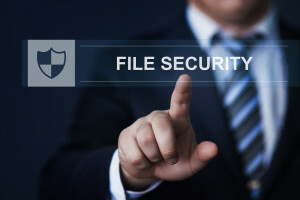 However if the holder of Your files has a change of heart or choses a different (maybe a competetive) employer, You might be in for a lot of trouble. DSS was created to avoid situations, where uncertainty and lack of trust come into play. Thanks to the use of modern data protection solutions, You gain full and constant control over Your valuable data. Why is our protection absolute? Every company possesses sensitive, information which they want to keep within the company. 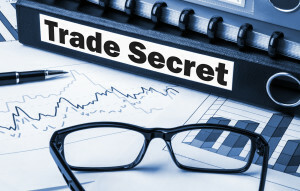 Files and documents – which if published – may cause a serious drop in competetive advantage on the market. How to make sure this won’t happen? DSS uses an extremely strong encryption algorithm, which protects Your documents from unauthorised users. The 2 x 256 AES (Advanced Ecryption Standard) makes it impossible for anyone to open Your files. Weather its Your laptop, the company cloud or an employees private tablet, iphone or USB drive – DSS makes Your files invulnerable. If You want proof, try asking the US military, they use AES as well.